You can enjoy parties or function with the Indian Tent, our tents brings attractive design patterns with reasonable price. Indian Tent are available in wide collection of shapes and sizes. It is assemble and gives outstanding surroundings that look like a heaven. 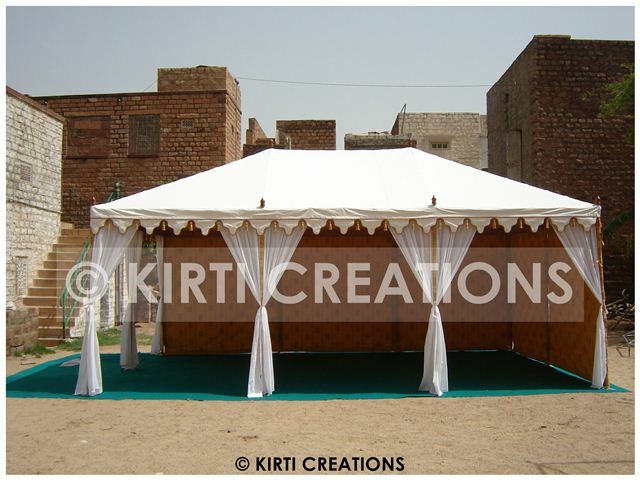 Party Raj Tent:- Our Party Raj Tent is made up with cream color of marquees and eye catching border. It is wonderful design from prime quality of material and well known for elegant design along with available at the budget costs for customers. 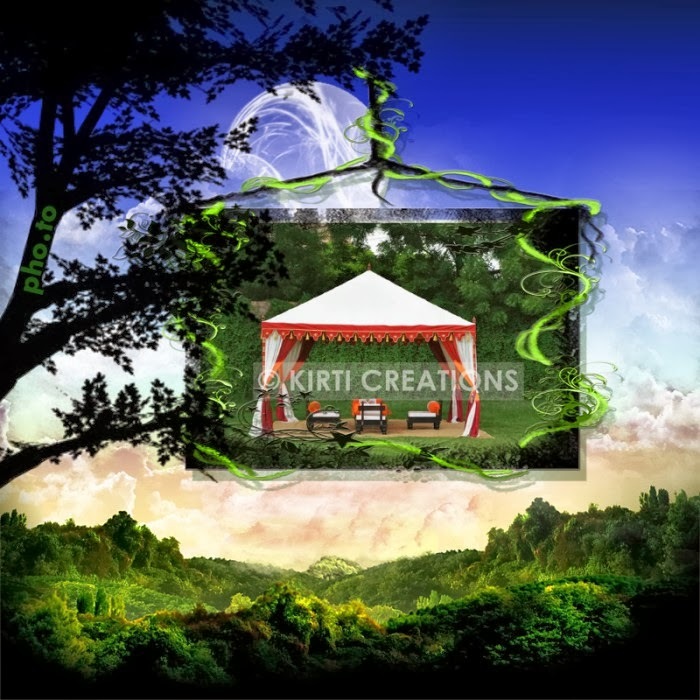 Indian tent for wedding is well known for exclusive design. A high quality and design of Indian Tent is available at the comprehensive rates. It brings a latest design and patterns of tents which mostly used in high class of party and occasions. Indian Tents is durable and artistic print of tents. When Handmade Tent is assembled in garden create outstanding surroundings.